Let's quickly go through the best ways you can deal with each issue above to help improve the Wi-Fi speeds in your home or business. Most homeowners have the understandable belief that when their ISP delivers and sets up their new router it is all they need to have Wi-Fi throughout their house. While it is true that most DFW Metroplex service providers will deliver a "turnkey" solution, it probably isn't capable of covering more than 2500 square feet or so. If you have a larger home, you will need additional Wi-Fi coverage from wired access points (recommended) or possibly even mesh Wi-Fi like Eero or Netgear Orbi. Do NOT purchase wireless extenders from your service provider. I won't explain how they work here, but most are not worth the money and can even make your networking issues worse. Interference is worst in higher density situations like apartments, but has really become a significant issue even in single family homes. When managed correctly interference can be minimized, but the way most service providers router's are programmed doesn't help the issue. If you are suffering from interference you may experience good speeds during part of the day, and then have serious slowdown issues at busier times of day, such as evening “prime time.” While not as easy to fix on your own as signal strength issues, companies like Audio Video Innovations can help create a solution for you. 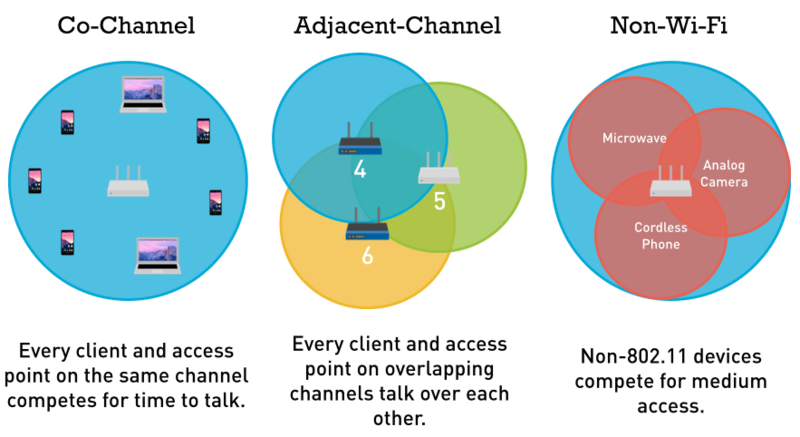 One of the most mysterious issues you can have is what is known as non-Wi-Fi interference. Non-Wi-Fi interference is created when devices within your home emit electromagnetic waves in a spectrum similar to your Wi-Fi. Some of the most common examples are baby monitors and cordless phones. More surprising sources of non-Wi-Fi interference are microwaves, bluetooth devices, and LED light power supplies. If you think you are dealing with non-Wi-Fi interference you may want to unplug or shut off wireless devices, lights and appliances while testing your wireless internet speed to determine which devices may be causing issues. Let me state for the record that, within reason, most homes will not have enough devices to cause issues, unless those devices are using very large amounts of bandwidth or they have a poor connection to the network. Tasks that might consume a large amount of bandwidth are streaming video, playing online video games (such as Fortnite) and running cloud backups. If the devices involved in those activities have a poor connection to the wireless network this can create very serious issues. 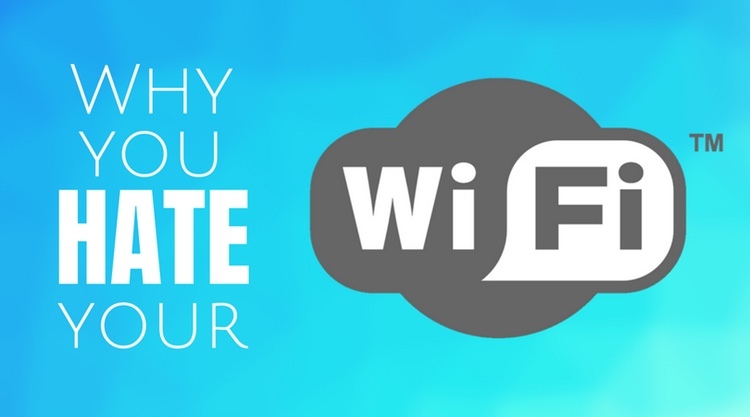 For this reason, we wire every device within a home that we can feasibly wire, leaving the Wi-Fi network to serve our client's tablets, smartphones and laptops. If you have Wi-Fi issues in Dallas, TX, it is very likely that they are related to one of the items above. If you need professional help please call us. We would love to help you enjoy your home just a little bit more.